The U.S. government will pay $4.1 million to avoid a lawsuit against federal agents who forgot about a UC San Diego student left in a holding cell for days without food or water. 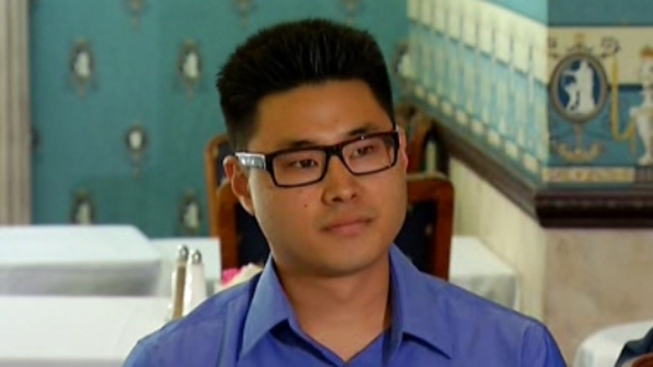 Daniel Chong spent five days in a Drug Enforcement Administration (DEA) holding cell in April 2012. Taken into custody on a DEA raid, Chong was left in a windowless room without food and water. He was forced to drink his own urine hoping it would help him stay alive. Chong's attorney, who along with his client threatened a lawsuit against the DEA, announced the $4.1 million settlement Tuesday. “What happened to Daniel Chong should not happen to any human being,” attorney Gene Iredale said. Iredale said it was a San Diego Police Department officer by the name of Darin Reis who told Chong on that first day that someone would be right back to get him. The officer was part of a DEA task force made up of local, state and federal law enforcement. "It was an accident, a really really bad horrible accident," Chong said Tuesday regarding the officer's alleged mistake. The UC San Diego student was at a friend’s house in University City celebrating 4/20, a day many marijuana users set aside to smoke, when agents came inside and raided the residence. Chong was then taken to the DEA office in Kearny Mesa. “I had to do what I had to do to survive,” Chong told NBC 7 after the incident. “It’s so inconceivable. You keep doubting they would forget you." When he was eventually found, Chong was incoherent and suffering from kidney failure. He was rushed to the hospital where he spent three days in the ICU. More than a year later the DEA that put him there is paying the price. Defense attorney Gretchen Von Helms, who is not representing Chong, previously estimated the settlement could be in the $2-3 million range. “You break it down into the pain and suffering and how horrible this could have been for the family. They didn't know where he was, all the anguish the family went through and the young man went through,” Von Helms said. Eventually Chong was discovered and the DEA issued a formal apology. Since then, Chong has been diagnosed with Post-Traumatic Stress Disorder and is being treated by a doctor who normally treats veterans who have returned from battle. Iredale said the doctor has "never seen stress or trauma as significant" as Chong's situation. "He really did sustain a near-death experience,” Iredale said. No criminal action will be taken against any individual officers, Iredale said Tuesday, but they hope there is at least a rebuke of the officer's alleged actions.